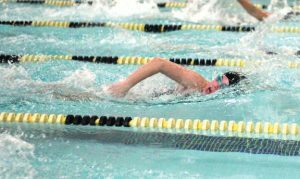 BEACON FALLS — The challenging practices and hours spent in the pool are paying off for the Woodland girls swimming and diving team. 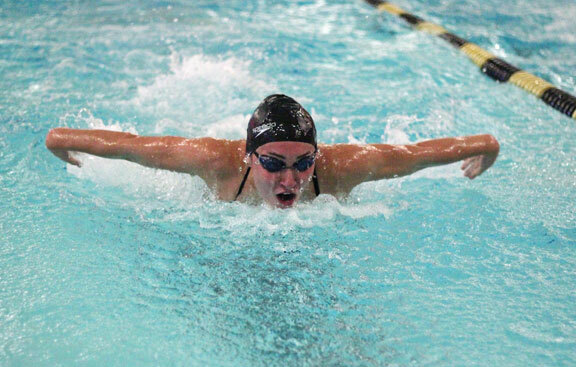 The Hawks won their seventh meet in a row on Tuesday, defeating Oxford 96-87. Woodland (11-1) will wrap up the regular season with a meet at Kennedy on Friday. Head coach Mike Magas pointed to the leadership of the seniors. They have been a key to success and were honored on Tuesday as part of senior night. “Our seniors continue to pave the way during practices and meets and it’s resulted in many of the younger swimmers stepping up and playing a big part in our successes we recently enjoyed,” Magas said. Senior captains Dia Gawronski, Brooke Pope, Jordan Williams and Kyla Drewry won the 200 yard medley in 2:02.67 to set a new school record and the tone against Oxford. Pope also won the 50 (26.66) and 100 (58.69) yard freestyle events. Gawronski also won the 200 yard IM (2:16.42) and the 500 free (5:23.97). Drewry and Williams took second and third respectively in the 100 back. The diving event has also produced key points for the Hawks this season. 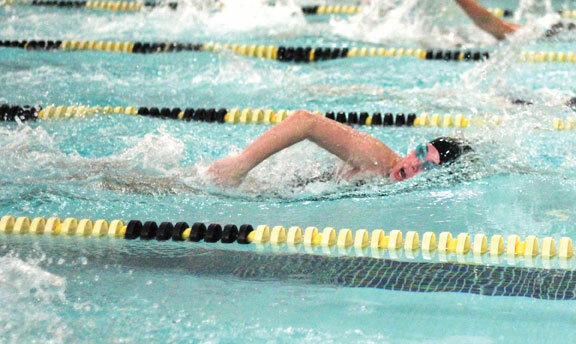 Maddie Hoxie won the event in the win over Torrington last week, and on Tuesday finished third behind teammate Aylssa Van Alystyne, who took second. Sophomores Casey Brooks and Morgan Swift also picked up points. Brooks was second in the 100 free, while Swift was a part of group that won the 200 free relay (1:52.22) with Alexandra Rojcov, Zarina Garcia and Pope. After closing out the regular season on Friday, the Hawks will turn their attention to the NVL championship, which is Nov. 4.